TechPowerUp noticed HIS has released a new graphics card tweaking utility named iTurbo, you can download it over here. This new tool is designed to support GPUs from both AMD and NVIDIA, from all vendors, it gives total control over your graphics card, except real-time monitoring. Apart from fine-tuning clock speeds and voltages, iTurbo gives you precise graphical control over the fan's desired behavior. It gives you equally precise control over sensitive voltages. It doesn't end there. 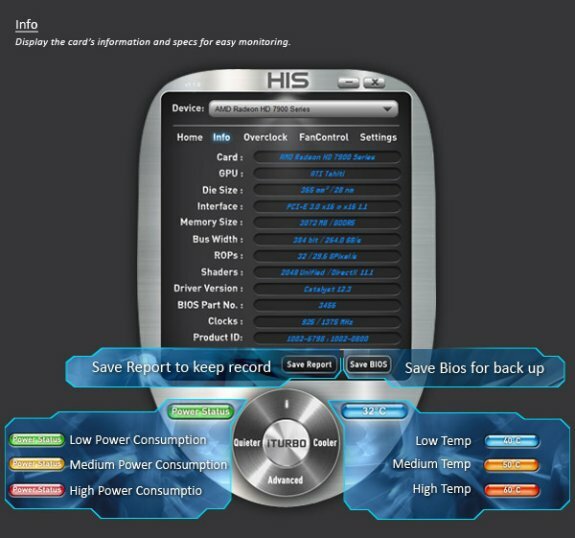 iTurbo is designed to support graphics cards of all makes, and vendors. It supports clock offset-tuning on NVIDIA GeForce Kepler graphics cards, and high-precision voltage-tuning without needing a MacGyver hardware cable solution that connects your graphics card to the software over any other hardware interface. iTurbo also allows you to preserve your "lucky" settings in profiles, and allows you to switch between it and other profiles that hold settings you're toying with.